Brian Keith Griffin, or "GRIFF" as he was referred to by his friends was full of life, laughter and a love for the outdoors. 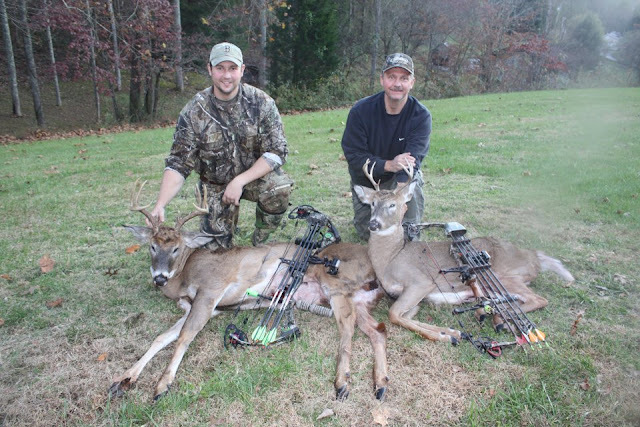 Whether it was chasing whitetails, turkey's, coyotes in the Kentucky mountains, running beagles on old coal fields for rabbits or shooting competitive archery in the ASA circuit. Anything to do with the outdoors, Brian was doing it. 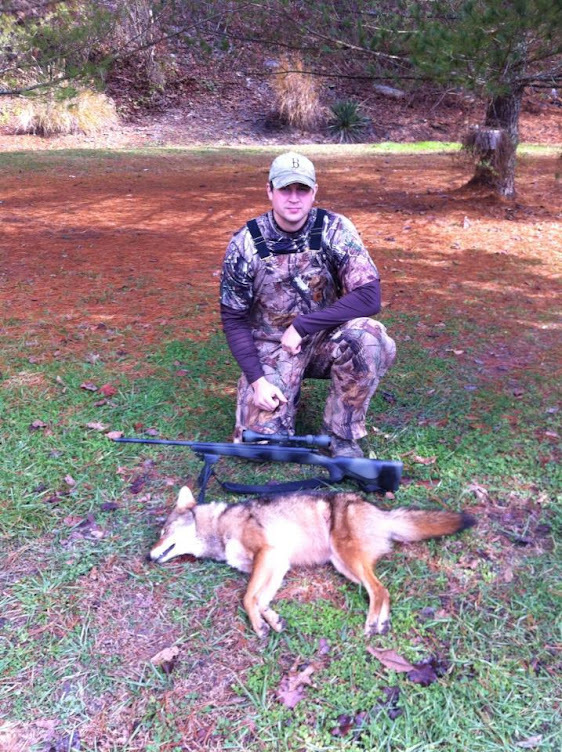 Brian was the man who got me into chasing coyotes years ago. We hunted together many times, and honestly, wasn't very good at it to start with. But Brian wouldn't stop trying to learn the best way to put yotes on the ground, and putting yotes on the ground is what he began doing. I can remember phone calls between us when he would tell me he was eat up with it. "I'm a member of every predator hunting forum there is online I think," he said. But that was Brian. He was a competitor in anything he done in life. 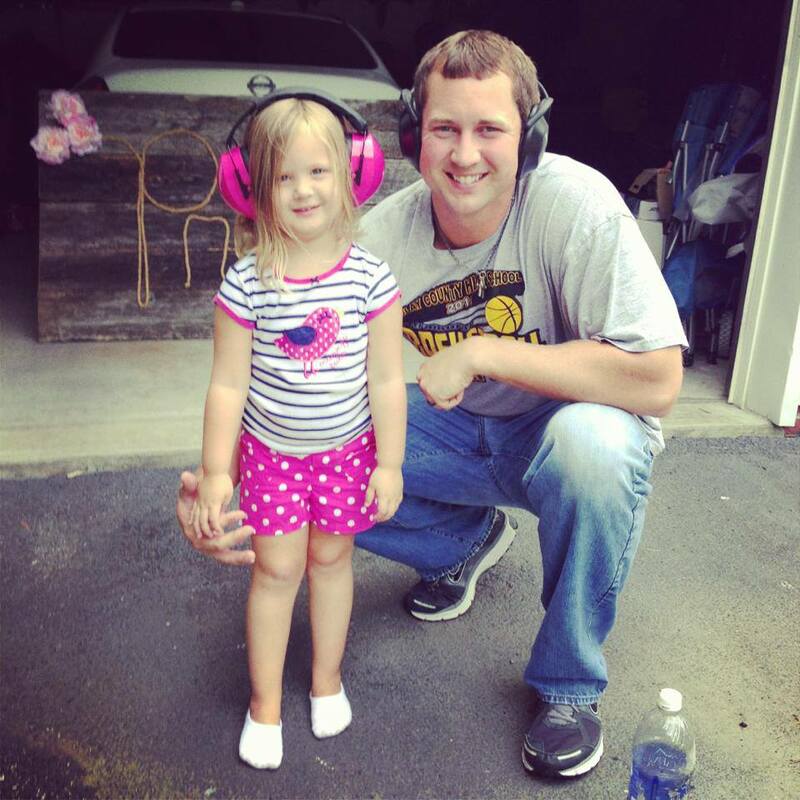 As a basketball player for Clay County High School, he was a dominate force. But the hardwood wasn't his only skill. He was also an exceptional baseball player as well. 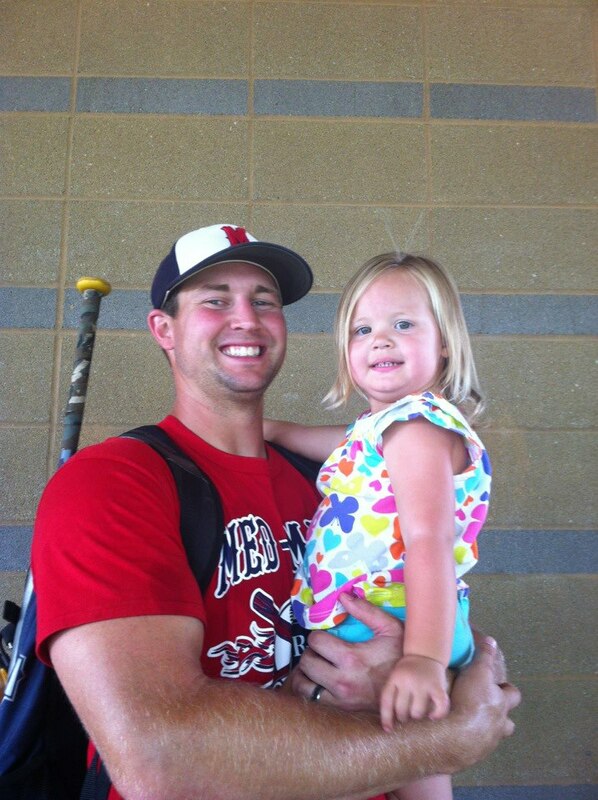 And he loved playing softball. I can remember the stories about the all night tournaments he would play in. From daylight to dark and back to daylight, he would play softball anywhere a tournament was going on. No one can say they ever saw Brian what he didn't have a big smile on his face. He was one of the happiest people you would ever meet no matter what the situation was. He saw the good in everything and everyone. If your day was not going so well, and you saw Brian, that big smile would brighten your day no matter what. 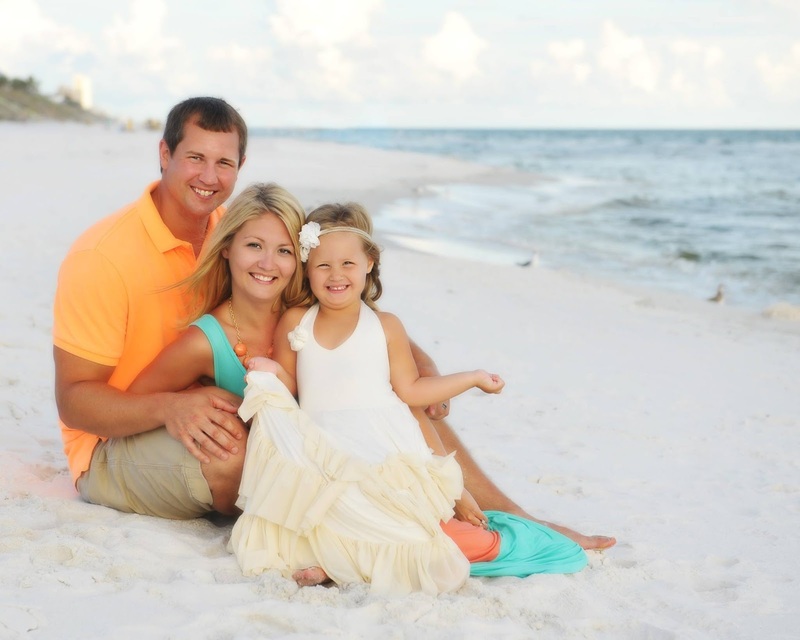 However, as much as Brian loved the outdoors, his biggest love in life was his family. Yes, Brian Griffin was a exceptional hunter and athlete. But those paled in comparison to him being an exceptional father and husband. That is what he cherished most in life. 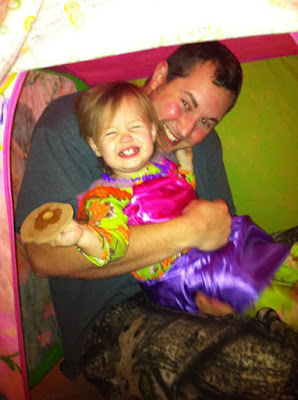 A life that was taken way too soon at the hands of another hunter. 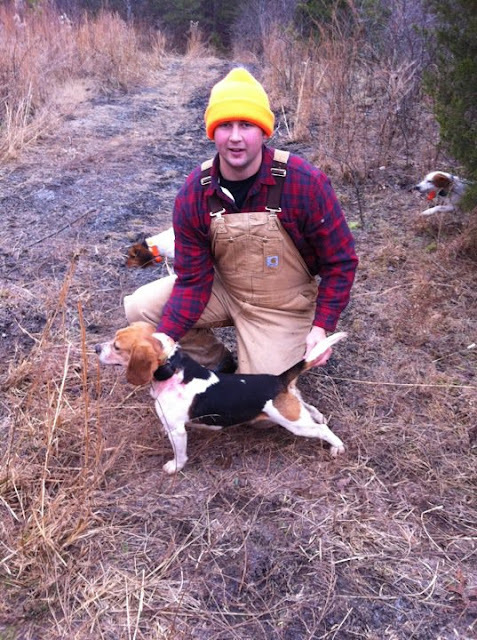 On the morning of April 17, 2014, Brian got out of bed to go hunting like he had done countless times before. 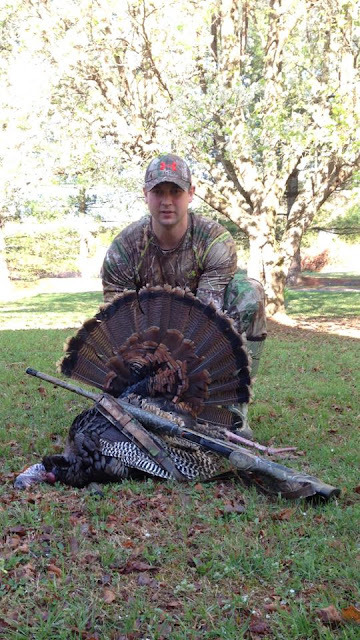 He, along with Jason Roberts and Chad Bullock had gobblers on their minds and where going turkey hunting in the Fogertown community of Clay County. On this day, the three of them came upon another turkey hunter in the woods. A turkey hunter who fired a single shot towards Brian, Jason and Chad, changing the lives of many forever. Both Brian and Jason were hit by the shot. A shot that resulted in Brian Griffin's life being taken doing what he loved.. As for Jason, he is very lucky to be alive. Jason lost his right eye and was hospitalized for a lengthy amount of time in order to recover from the injuries he sustained. Chad was not hit because of his position in the group, and was able to run out of the woods to dial 911 for help. However, Chad was not the only person running that day. The hunter on the ridge top, who pulled the trigger on the three of them also ran. But instead of running to help Brian and Jason, the hunter ran away, leaving the badly injured men laying in the woods, not caring about how bad they was injured. Although an arrest was made and a trial was carried out. No one has ever been convicted for shooting Brian and Jason. Even though Jason lost his dominate right eye, he would not let that keep him from hunting and being outdoors. 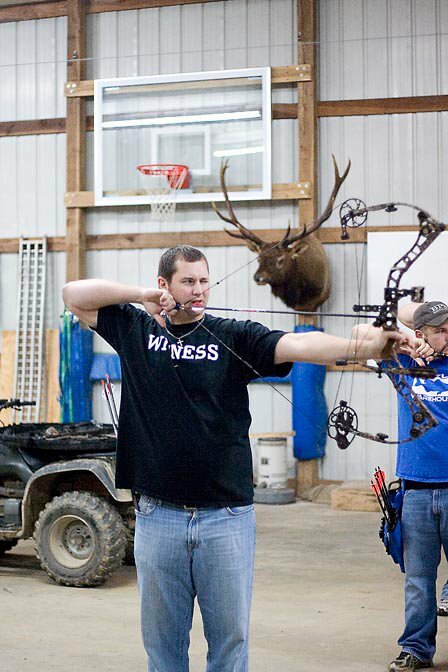 He learned to shoot firearms and archery equipment with his left eye, and continues to take trophy size game each and every year. He recently took a huge Kentucky Bull Elk as well as several trophy sized deer. As you already know, Brian succumbed to the injuries he sustained after being shot. 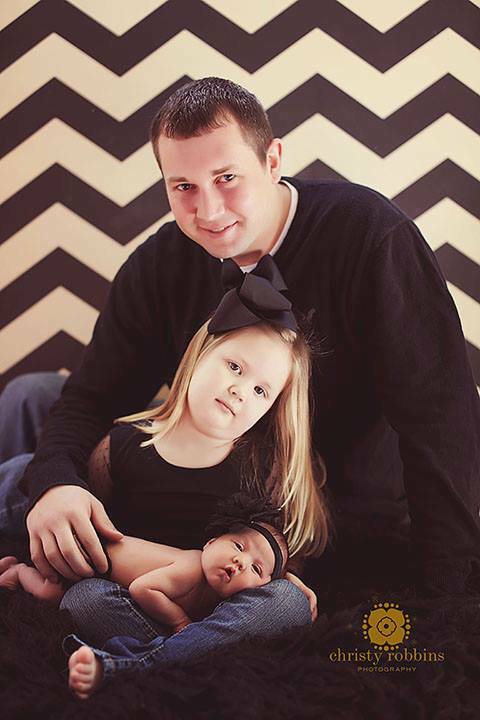 He left behind a wife and two small daughters. He was only 28 years old. Although Brian is no longer with us, his memory and the impact he had on so many people the short time he was on earth will never ever be forgotten. And this hunt is being held in his memory because he loved every minute he was in the woods right up until the end. This year will be four years since Brian was taken from us, but it seems like only yesterday. For those of us lucky enough to have known him, we are blessed to have had such a fine young man in our lives, even if it was just for a little while. RIP Griff....you are missed and loved by many. 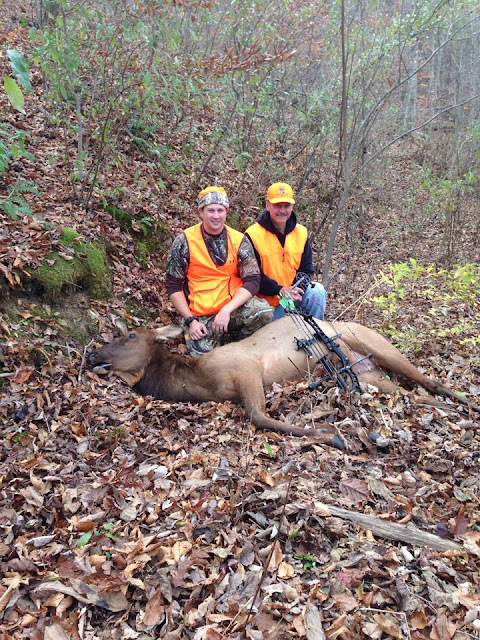 Brian with his father, Bill, after Brian's harvest of a cow elk. 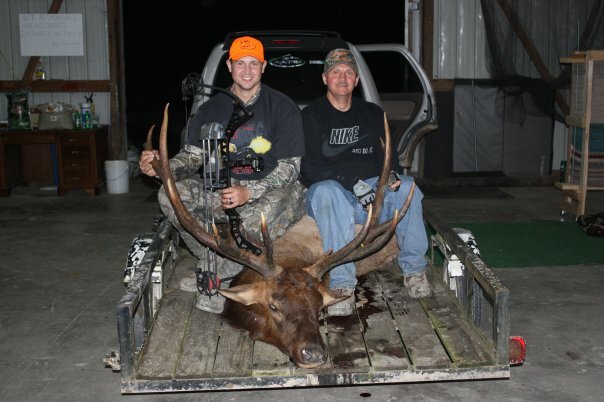 Brian and Bill with the massive Kentucky Bull Elk Brian was able to harvest. 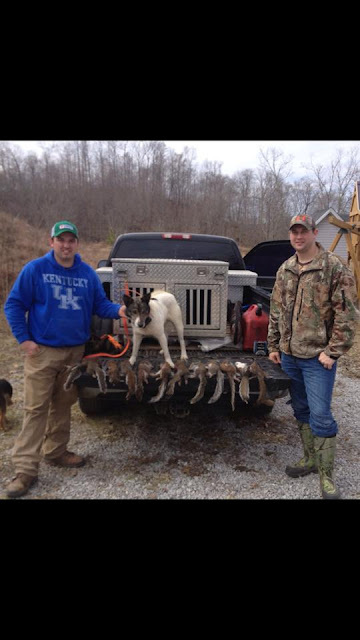 Brian and his close friend Wes White after putting a hurting on bushy tails.